The hard-rock quintet, Bring Me The Horizon released their 6th studio album, That’s The Spirit on September 11th. This album was the first by the band to receive a lot of recognition and reach the top 5 in charts around the world. Earlier I labeled them as a hard rock band. Some may argue this, but the band is no longer the immature metal-core band they once were. We will, unfortunately, never again witness songs live like “Rawwwrr,” or “Traitors Never Play Hangman,” from their debut EP This Is What The Edge Of Your Seat Was Made For. Fans may also be lucky to see the band perform their song “Pray For Plagues,” from their 2nd studio album Count Your Blessings. Other than that, we early BMTH fans are out of luck. The first transition of the band was the release of their 3rd record, Suicide Season. With songs like “The Comedown” and “Chelsea Smile,” Oli Sykes introduced us to his new vocal technique. He used it while sticking with his screeching high screams and gut-wrenching low growls. This album was also the introduction of their use of keyboard and electronic sound effects. This was probably the lowest point in Bring Me The Horizon’s career. There Is A Hell Believe Me I’ve Seen It. There Is A Heaven, Let’s Keep It A Secret, BMTH’s 4th album was a major step up from their previous work. The maturity level of the band started to grow with this release. There Is A Hell... is where guitarist Lee Malia presented his use of ambient guitar leads. Here the band dabbled with clean singing by bringing other singers in to track them. That brings me to the latest release, That’s The Spirit. Fans who are introduced to this album first would not believe where BMTH came from. If I was one of those people, I would think it’s two totally different bands. While early BMTH fans clearly do not agree with the band’s current direction, it is the exact direction the band wants to go in. Oli Sykes stated numerous times that he doesn’t want to scream anymore. Going from a metal-core sound to a hard rock/electro-rock sound, this band has had one of the biggest transitions a band can make. With songs like “Drown” and “Avalanche,” I wouldn’t want to scream anymore either. The biggest change in the band I’ve noticed from this album is the closing track, “Oh No.” I wouldn’t even consider this song a rock song. I can imagine hearing “Oh No” in a club with people dancing along to it. Although this album upset many and caused the band to lose fans, Bring Me The Horizon aren’t going anywhere but up from here on out. Please note that the opinions expressed in this review are the opinions of the writer alone. 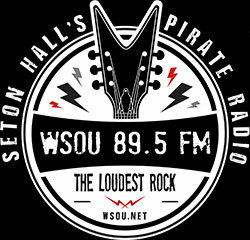 They do not necessarily reflect the opinions of WSOU, Seton Hall University, nor any of its affiliates.